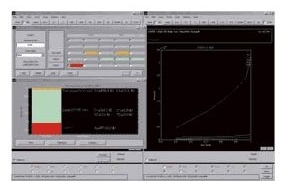 PHI MultiPak is data analysis software for Auger electron spectroscopy and photoelectron spectrometry offering an excellent user interface. It offers cutting-edge data analysis based on an advanced analysis algorithm and quantitative and effective representation with a wealth of data processing functions. Windows® 7 (32 bit) compliant, and supports a variety of XPS/AES data analysis and data presentation with features such as peak identification based on database, Linear Least-Squares Fitting (LLS), Target Factor Analysis (TFA), Curve Fitting, spectrum overlay, and enlarged display. When performing routine analysis of multiple data, the analysis procedure can be automatized and tasks such as data output and table creation from quantitative values can be processed automatically. All processing results can be copied and pasted to support quick electronic report generation.